DID YOUR BUSINESS TURN A PROFIT LAST MONTH? IS YOUR PROFIT TRENDING UP OR DOWN? These are the kind of vital questions that so many Amazon sellers unfortunately can’t answer. But, imagine if you had a highly automated process to feed you that information each and every month. And better still, what if you could save hundreds of dollars by setting up that system yourself, even if you’ve never been much of a numbers person? I talk with Amazon sellers every week who find themselves in an enviable position: they’ve started to get some traction in their business, and now they’re ready to take it to the next level. The challenge is that these sellers also feel anxious, disorganized, and in the dark about how their business is REALLY doing financially. They know that their sales are going up, but they are just not sure how much is actually making it to the bottom line. You can hear it in their voice… it seems like they might have a “real business” on their hands, but they don’t have any books to show for it. The fact of the matter is that one of the quickest ways to know you are running a “real business,” to prove that you really are on the fast track, is to know your numbers. 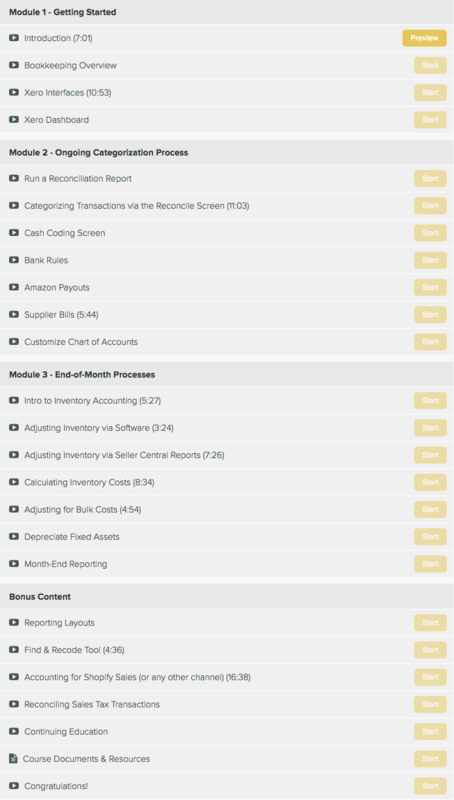 That’s why I created these courses… to walk ambitious sellers step-by-step through the process of creating a proper accounting system. And not just any old accounting system… but one that is customized for selling on Amazon, using the latest and most efficient cloud technology. 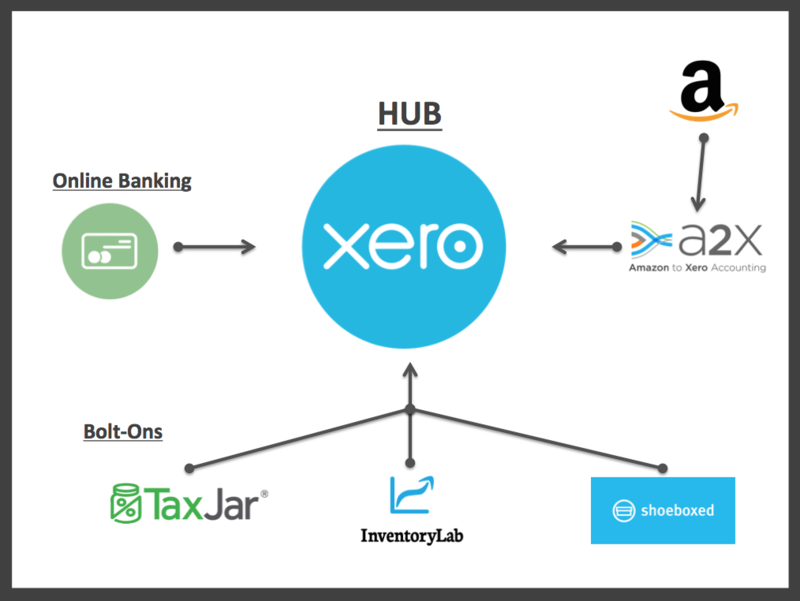 It starts with cloud accounting software Xero at the hub. Next, I capture all business expenses via feeds that directly connect your bank account and credit cards to Xero. 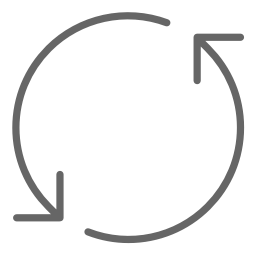 From there, I capture all sales data from Seller Central via a plugin call A2Xaccounting. Finally, I use Taxjar, InventoryLab, and Shoeboxed as optional edge players to manage sales tax, inventory, and receipts respectively. A beautiful cloud accounting software, Xero combines an amazing user interface/experience with built-in efficiencies to knock out huge chunks of manual data entry. It is simply the best cloud accounting software in the small business space right now. 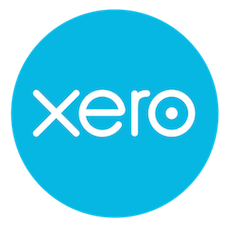 One of the great things about Xero is that it integrates with hundreds of “add-on” software plugins like A2X Accounting. 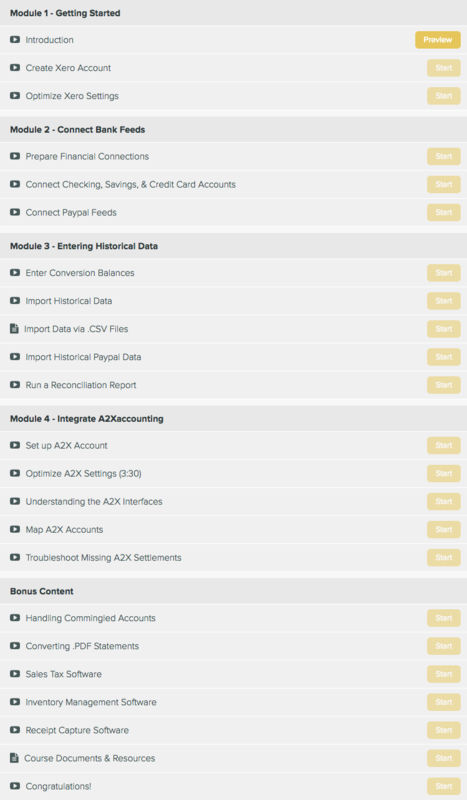 A2X maps all of the sales data from Seller Central directly into Xero in a slick and automated fashion. Taxjar is an automated sales tax reporting solution which makes one of the most frustrating aspects of selling much more manageable. One of the most common mistakes sellers make when doing their own books is accounting for the cost of inventory incorrectly. 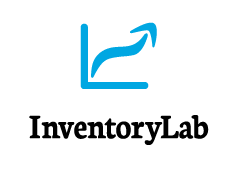 InventoryLab goes a long way in tracking the value of your inventory and how much you sell each month. Depending on your situation, this tool may be optional. Let’s face it. Some of us are great with keeping things like receipts organized, and some of us just aren’t. Shoeboxed makes it ridiculously easy to knock this out. And for added luxury, they will even send you a magic envelope to stuff in all your receipts. This tool is also optional. 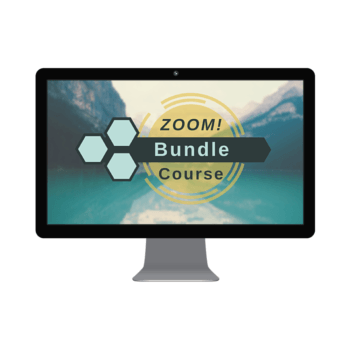 With over 5 hours of step-by-step screencast videos, you will learn the exact same procedures I use to train my staff and clients on how to set up and work the Zoom! accounting system. 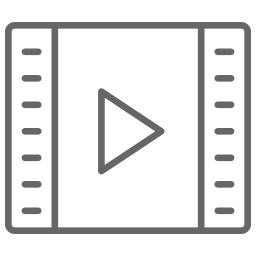 The only difference is that I’ve converted the content into easily digestible, on-demand video segments. Depending on the course you take, you will gain access to multiple worksheets, templates, and direct links to written procedures. 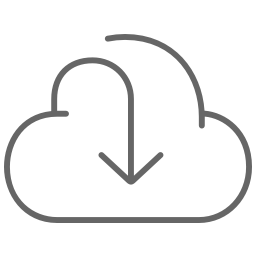 After watching the tutorials, you will need to download them from the resources section of the course, and fill them out. Since each lesson builds on the previous one, you will apply what you learn in each lesson before moving on to the next segment. Once you have setup the system and know how to use it, all that’s left is to continue working the system as designed and reap the rewards. While experience doing accounting work is certainly a plus, you don’t need it to get started. One of the topics I cover is where to go to get more comprehensive training in accounting theory for no additional cost. As an entrepreneur, I believe people should have the opportunity to live the kind of life that excites them. And whatever that may be for you, you’re going to need TIME to live that life and you’re going to need MONEY to support you along the way. So every part of how I operate as company is laser-focused on supporting Amazon sellers in these two areas. In the beginning of my firm, I focused on providing outsourced accounting services to put time back into the schedule of sellers that were already quite successful on Amazon. But as word got out about the company, more and more sellers were coming to me with the ambition to grow but without the resources to pay for services yet. That’s when it became clear to me that I wanted to create a learning experience that would give less-established sellers the tools and confidence to set up and work exact same efficient accounting system I use for my more-established clients, but at a much more accessible price. WHAT SOFTWARE TOOLS WILL I NEED AND HOW MUCH WILL THEY COST ME? 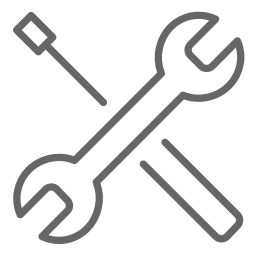 The two non-negotiable tools are Xero and A2Xaccounting. Together, they cost $49/month at the standard levels. HOW MUCH EXPERIENCE WITH ACCOUNTING DO I NEED? While experience doing bookkeeping is certainly a plus, you don’t need it to get started. One of the topics I cover is where to go to get more comprehensive training in accounting theory for no additional cost. HOW LONG DOES IT TAKE TO COMPLETE THE COURSE AND SET UP EVERYTHING UP? The truth is that it will depends upon your pace of learning and implementation. I’ve seen ambitious learners complete the course and set up the system in as little as 7 days. If you plan to take your time, I would recommend giving yourself a good 30 days from start to finish. Two weeks to digest the course material and two weeks to perform all the tasks. WHAT MAKES YOU QUALIFIED TO GIVE THESE COURSES? Great question! 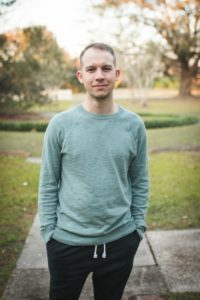 While I have 4-year degree in Accounting, I feel my biggest credential is the amount of time I’ve spent in the trenches with my Amazon clients. My system has been battle-tested, so you’re getting the exact same tools, checklists, processes, and content that my clients have paid thousands of dollars to receive. WHAT HAPPENS IF I EVENTUALLY WANT YOU TO TAKE OVER THE BOOKKEEPING FOR ME? Well, that’s the goal. In the beginning, I want to save you time while you’re doing your own books. Then as your business starts to grow, it becomes more and more crucial to re-allocate your time to your highest and best use. So eventually you will get the to point where it makes sense to outsource this part of your business. Only you will know when the time is right, but generally you should expect to do your own bookkeeping until you are selling at least $10,000 per month on an ongoing basis. When you feel ready for that transition, all you have to do is check out our pricing page and choose the package that makes the most sense for your business. Contact me directly by clicking here — I’m happy to answer any questions you have! 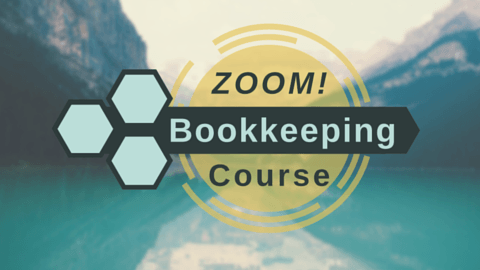 Ready for your accounting to go ZOOM?